Does your boy have a birthday coming up? 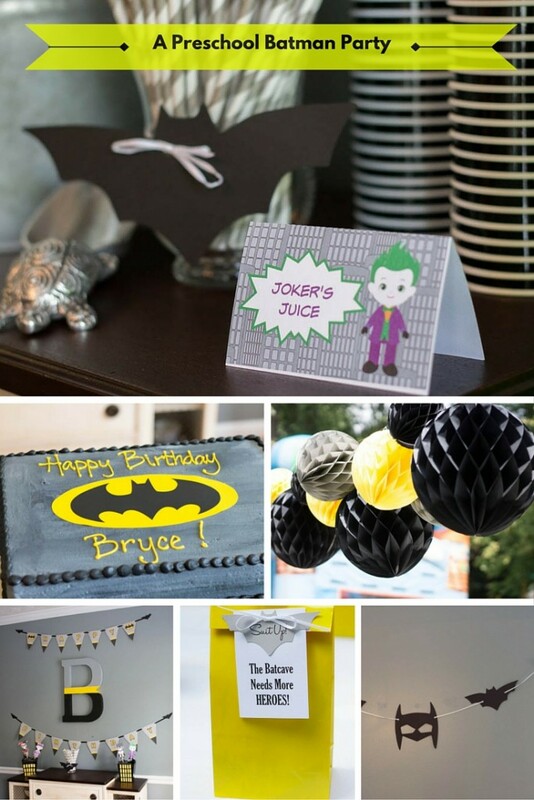 Why not throw him a Batman birthday party? 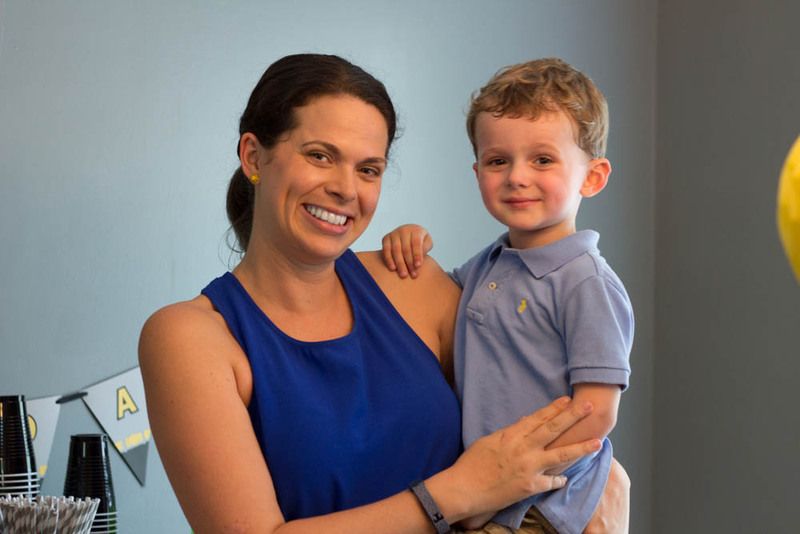 It is a constant struggle for us to keep our boys little. 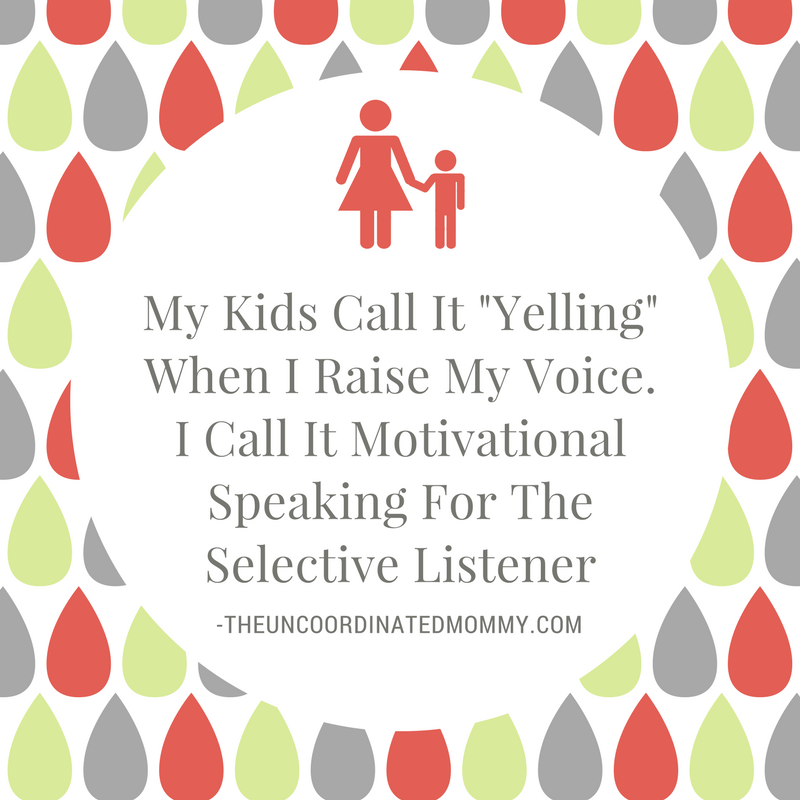 I spent most of their first couple of years wishing for them to speed up so things would be a little easier and now I am slamming on the brakes! They are growing too fast. One thing that we are very aware of would be the big boy cartoons that they want to watch. We made the mistake of allowing it at first and we have tried to pull back a little but they are obsessed with super heroes!! Really, there is nothing wrong with that, except that they are three and four, not seven and eight. That’s why we have focused more on the Lego super heroes and especially the Super Hero squad. They are perfect for preschoolers, Hulk throws a toddler size tantrum, it’s hysterical! 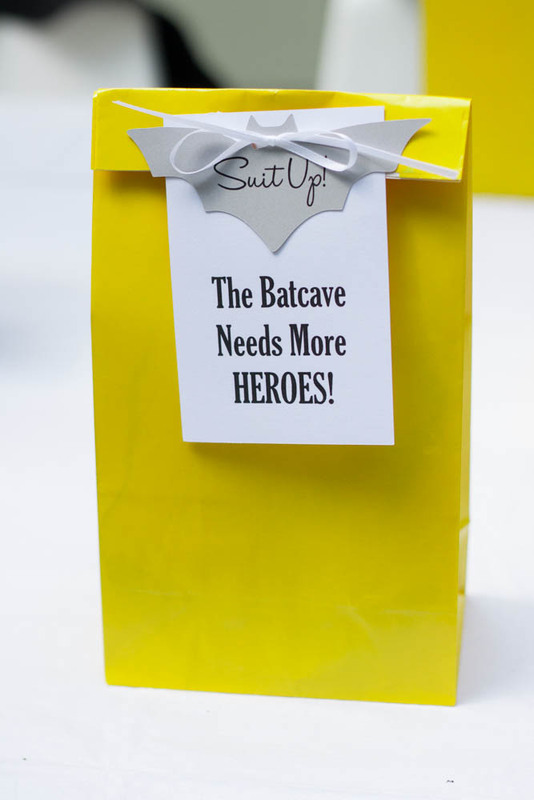 That’s why I was so happy to find these super hero clip art images on Etsy! It’s toddler superheroes! Aren’t they adorable?! I used them and some of the backgrounds to make the Batman Birthday party invitation. 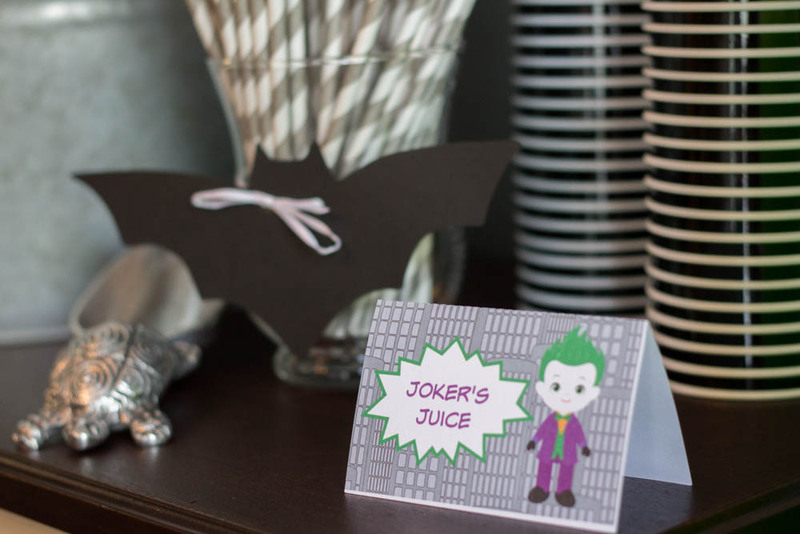 And these adorable little table tents! 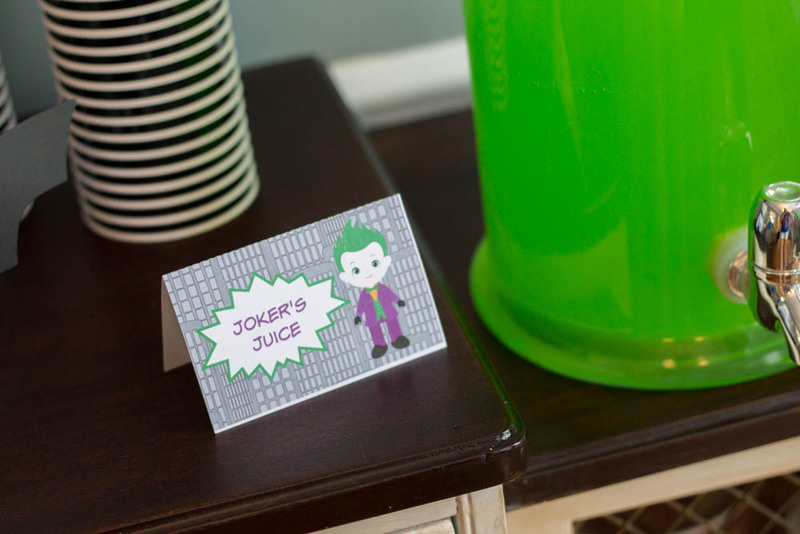 The Joker juice was a huge hit! The kids were asking for it for days. Probably because it was full of sugar and they aren’t used to that, but hey, what are birthdays for!? 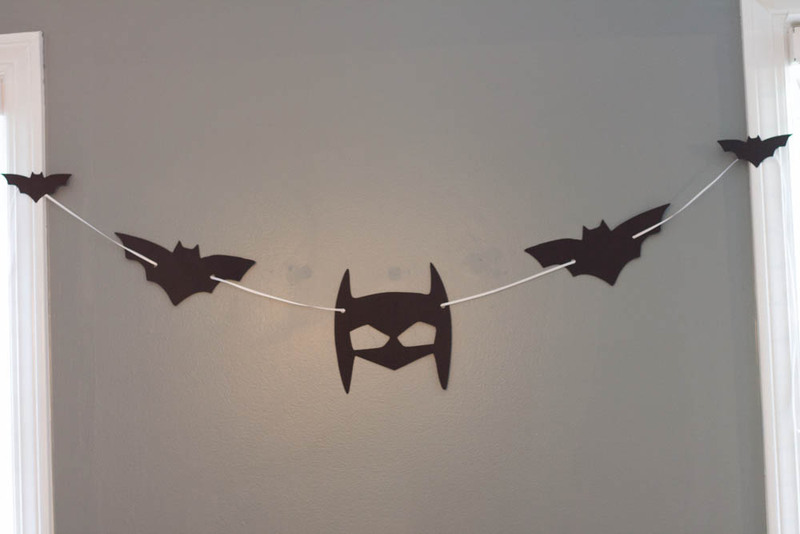 I also cut out a bunch of bats out of vinyl and cardstock. I used them everywhere! Bryce thought that was awesome. He took my sister around pointing out all the decorations and kept saying, “and these are my bats!” LOL! The cake was a little tricky though. The only one they had at the local grocery store was not my favorite and wouldn’t match the gray, black and yellow colors I had already purchased. 🙂 So, of course, I had to go rogue. I had them create a gray cake with a black border and write Happy Birthday Bryce on it. Then I grabbed some sugar sheets from Walmart and used my Silhouette to cut out the bat symbol myself!! It was awesome!! And then I fell in love with this banner I created!! It was easy and fun with my silhouette. And Bryce loved it! I found a similar banner, a print and cut the triangle out kind of thing, for sale on Etsy but that would be just too easy and I love the way layered card stock looks. So I recreated it in my silhouette software and boom! I also saw this banner on Pinterest and loved the look, so once again I grabbed my silhouette and bam! These centerpieces were SO easy! It was really helpful that my machine cut them out, but it wouldn’t be too hard to do by hand. 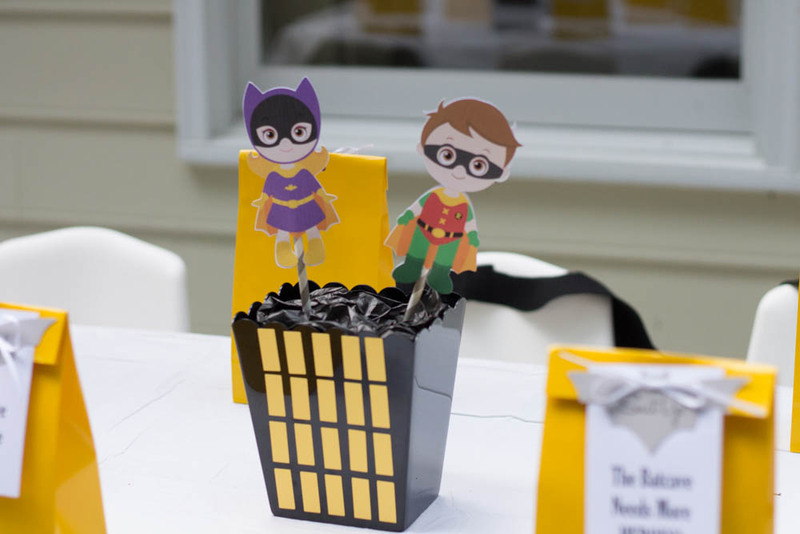 Check out this quick video for tips on creating these Batman centerpieces! 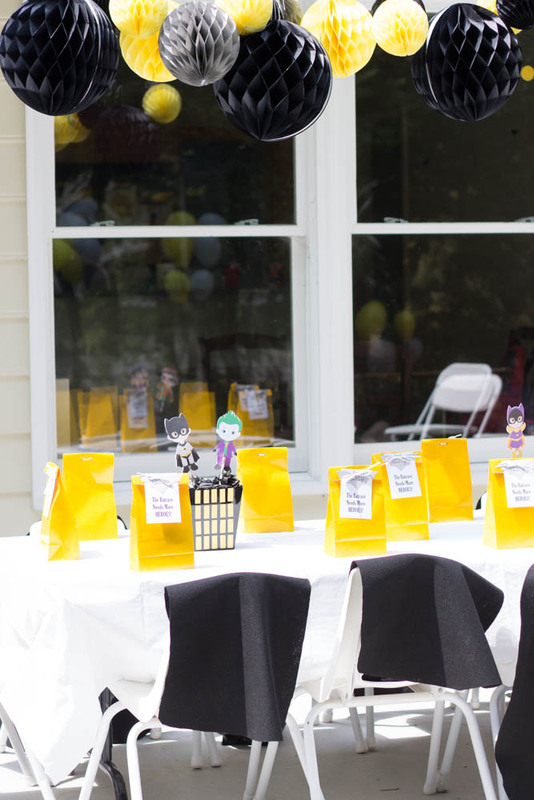 The table was so cute with their little favor bags and the centerpieces. And each chair had a batman cape on it. These were just plain black felt with iron on Velcro fasteners. No need to get fancy. My sister cut them all out the day of the party! She’s a saint. 🙂 These little favor bags were great! I made these Batman masks and then included some little Batman accessories from the party store. 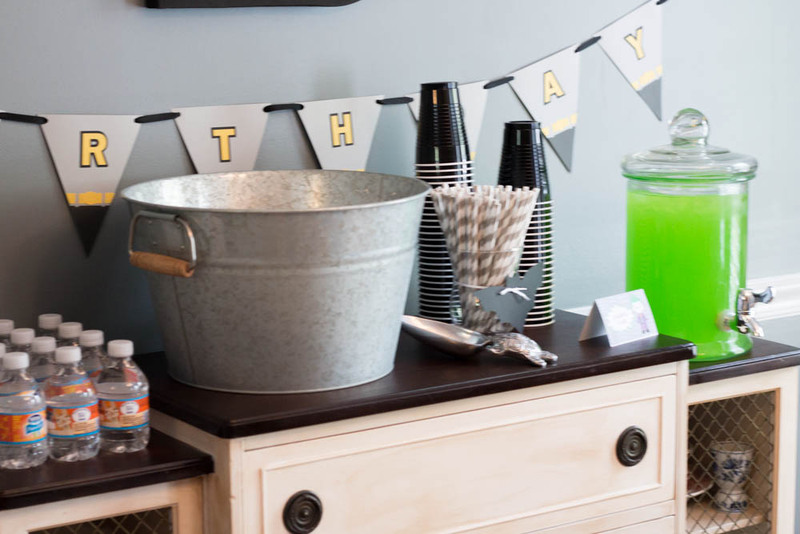 I liked that the kids could play with everything at the party and then take them home afterward. The little table and chairs are perfect for the kids. The only problem was the time of day we had the party wasn’t great for where we had the table set up. It was in the sun and pretty hot! I think next time we will have the party later in the afternoon. 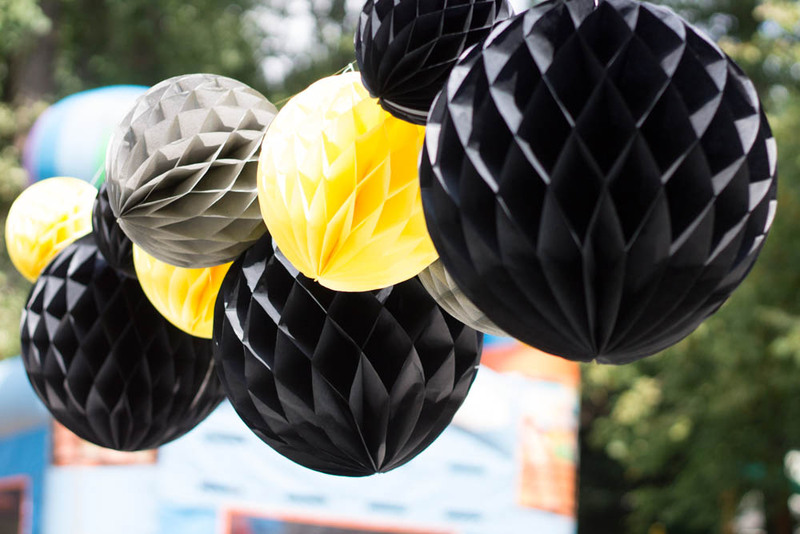 These little honeycomb ball decorations were a little expensive but the best part is they can be used over and over again. I will be sure to use the black and maybe even the gray for Noah’s birthday. And then I only have to purchase the accent color. I have been doing this for years with their decorations. Bryce was so happy! And while yes, sometimes a lot of this is more for me, I can honestly say that he appreciated all of it! He loved it all and pointed out each and every detail. One year I basically raked everything Lightning McQueen off the Walmart aisle and Noah was so freaking excited, but I really enjoy making these kinds of things and it was so wonderful seeing how excited Bryce was about it all. 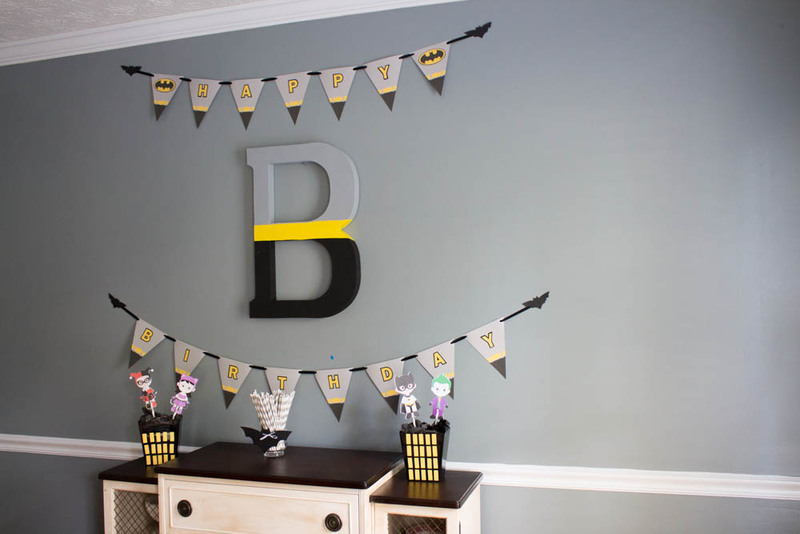 Here is the Pinterest Board that I created when planning Bryce’s Batman Birthday Party, it is full of fun ideas and inspiration! 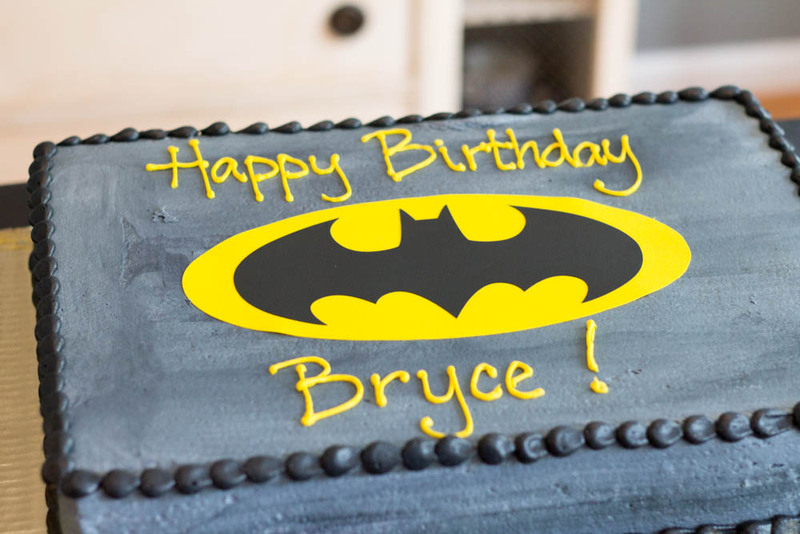 Follow The UnCoordinated Mommy’s board Bryce’s Batman Party (Turning 3) on Pinterest. 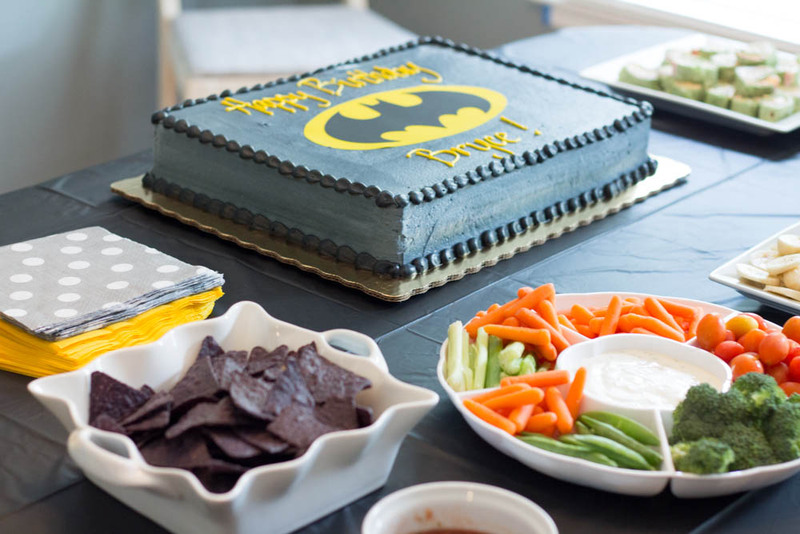 This Batman Birthday Party Planning is really awesome! 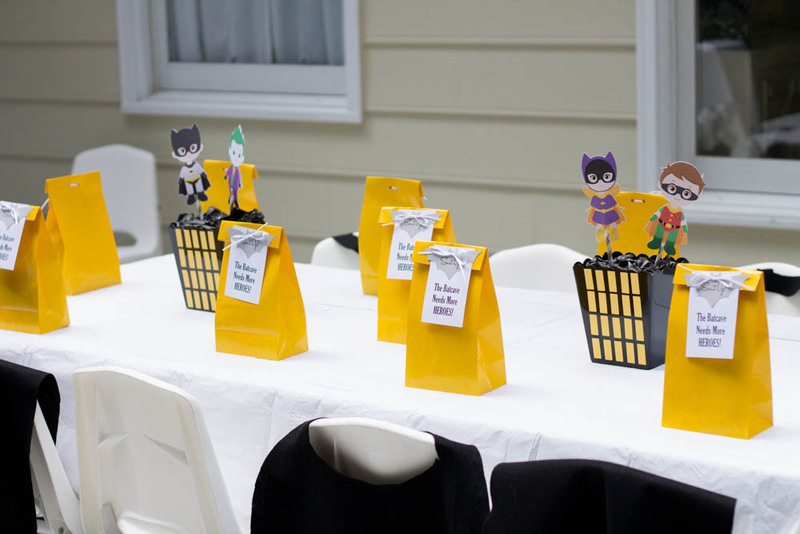 This Batman Birthday Party Plan is really Awesome!